Accused of 'crimes against the inviolate laws of evolution', the Doctor is on trial for his life in this exciting novelisation continuing the Trial of a Time Lord story arc. 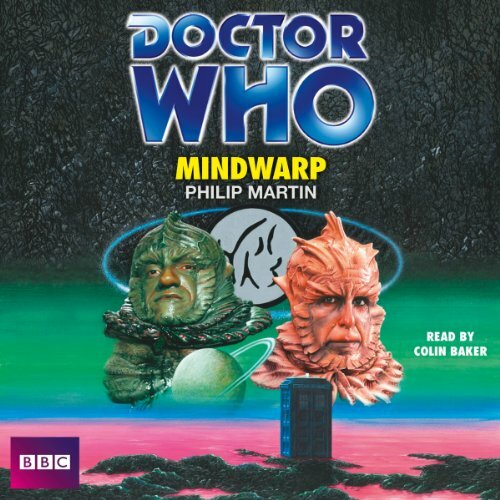 Colin Baker, who starred as the Sixth Doctor in Doctor Who, reads Philip Martin's complete and unabridged novelisation, first published by Target Books in 1989. I found this one difficult to follow. This may be because it's a reading of the story rather than a full cast narrative/performance. This one may be better through video. Mindwarp was the most disturbing story within the Trial of a Time Lord season. Baker brings verve to the narration here, giving a great Brian Blessed impression, adding accents that weren't on-screen, to deliver a vivid reading of a scary story. Highly enjoyable and well paced.